Workshops can also be delivered in-house (minimum 10 people). Please contact us for more information. Pamela Nathan – Clinical and Forensic Psychologist and Psychoanalytic Psychotherapist with over 30 years of experience in Central Australia. Jamie Millier Tjupurrula – Cultural consultant with over fifteen years living, working and building relationships in the western desert communities. 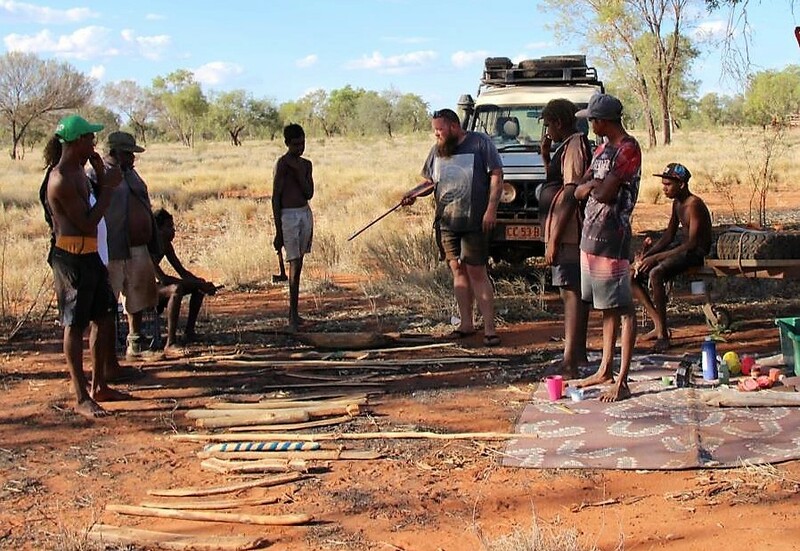 Ken Lechleitner Pangarta – A Western Aranda and Anmatjere man, Ken facilitates CASSE’s ‘Breakthrough Violence’ behaviour change course for men and shares his cultural knowledge. CASSE’ psychological (analytic) and culturally-informed training workshops are interactive and accessible. What is psychological (analytic) – informed training? All CASSE’s workshops are based in clinical psychology and include psychoanalytic paradigms. Psychoanalysis can be very practical. It is a body of knowledge and method of therapy which helps to deepen understanding and change one’s mind and heart. In these workshops, we bring a mindful analytic perspective, and apply it and use it in organisational and community settings. In this space, CASSE encourages interactive workshops which work with your stories and experiences. Mentalisation is a psychoanalytic approach which focuses on the underlying mental states of mind in the context of intimate, responsive, secure attachment relationships and focuses on self and other. Culturally-informed training is understanding the cultural beliefs and practices of the cultural group to community problems. In these workshops, mental health issues are explored and understood in the context of the culture they are being experienced in – taking into account both historical and current cultural contexts. These sessions are led by Aboriginal people. Understanding trauma and building a tool kit to heal traumatic experiences. Audience: Mental health workers. A practical psychoanalytic tool box. Audience: Mental health workers. Using the psychoanalytic tool of mentalisation to break the cycle of violence. We also offer this workshop with more focus on violence from an Indigenous and cultural perspective. Audience: Mental health workers and communities at risk. Using the psychoanalytic tool of mentalisation to understand suicide. Audience: Mental health workers. Reviving an ancient cultural practice to restore mental health. Audience: Mental health workers and members of at-risk Aboriginal communities. Understanding historical trauma in the present – opening up the hard conversations about trauma, both historical and present, in Aboriginal communities using film. Audience: Mental health workers and members of at-risk Aboriginal communities. CASSE offers both half and full-day workshops. Each workshop stands alone or you can combine two workshops to tailor the day to the unique needs of your organisation/s or community/s. Educational workshop – understand mental health issues from a psychological approach. Applied workshop – understand mental health issues from a cultural perspective. Educational + educational workshops = Comprehensive psychoanalytically informed workshop on mental health issues of your choice: trauma, transformative tools, violence or suicide. Educational + applied workshops = A holistic overview of mental health issues in the context of historical and current cultural factors. CASSE delivers workshops for individuals (subject to minimum numbers) or in-house workshops within your organisation (minimum 10 people).